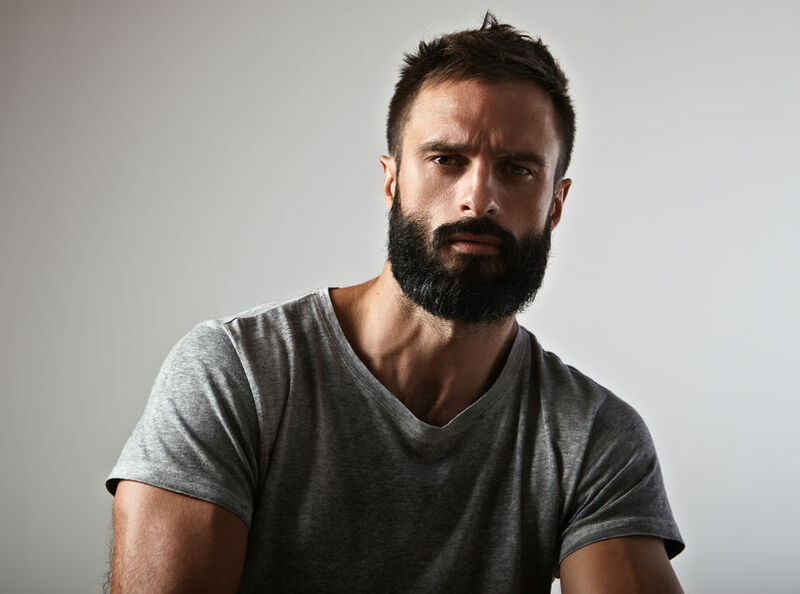 Are you looking for treatments to combat male hair loss? 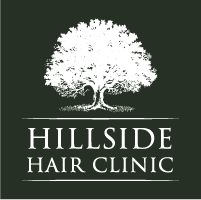 Here at Hillside Hair Clinic we take a holistic approach and are here to guide you in the right direction. In male pattern hair loss, the sides and the back of the head are permanent hair, whereas the front, the top and the crown are non-permanent. Baldness is caused by a process Miniaturisation. 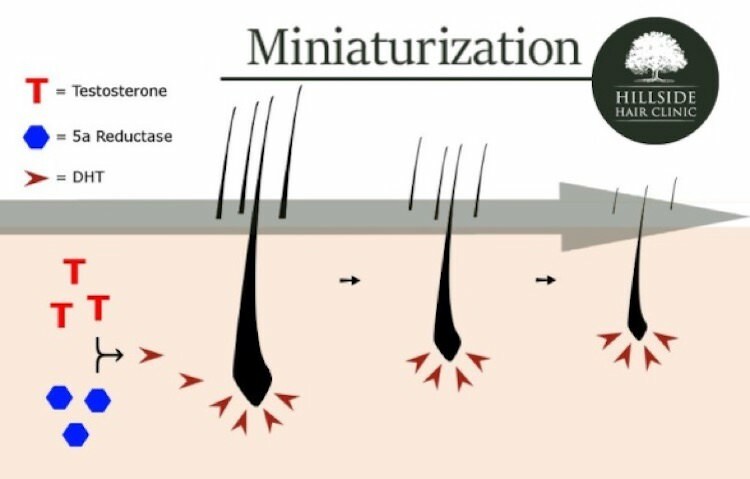 This is where the hair follicles gradually get smaller and the hair gets thinner, resulting in the hair falling out. There are 3 phases of hair growth: the growth and the resting and the shedding phases. 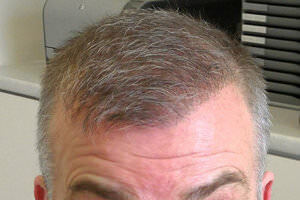 In baldness, this process is reversed, with the growing phase becoming shorter and the resting phase being prolonged. Are you looking to discover the difference between FUE & FUT hair transplants? 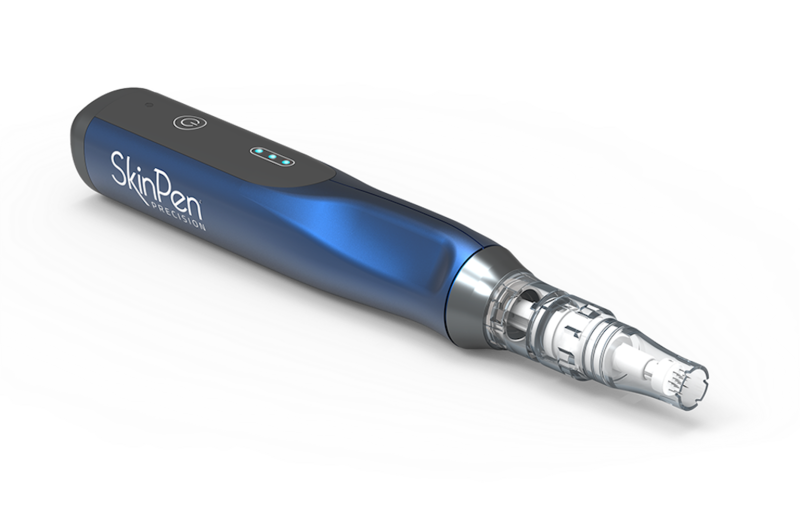 Follicular Unit Extraction (FUE) refers to the extraction part of the procedure and there are key differences between the FUE and FUT methods. In the FUE method, individual grafts are extracted directly from the patient’s donor area (back and sides of the head), one graft at a time. 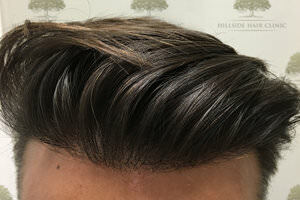 Patients can typically also style their hair shorter at the sides and back after the procedure. In an FUT hair transplant, a thin strip of hair is removed from the donor region leaving a small linear scar. The strip is then grafted into the recipient area. We are very particular about working with you to create a natural hairline to give the best aesthetic result. We take hair grafts from the sides and back of the head, as hair in these areas are not sensitive to the DHT hormone. After transplantation, they will grow forever. 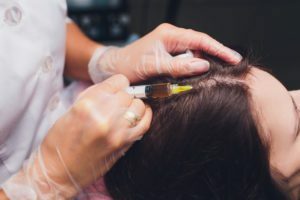 So, implanting hairs that are not sensitive to this hormone, into the recipient area of the scalp means that this hair is perfect to use to transplant. 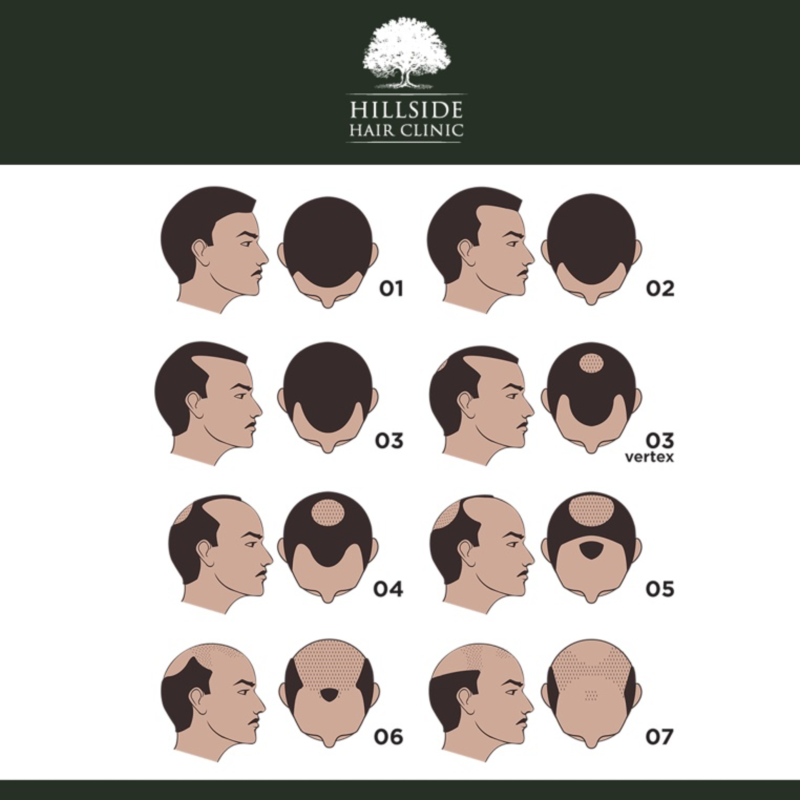 Here at Hillside Hair Clinic, we offer free private consultation by an experienced clinician, with a background of general medicine and endocrinology, who will go through your medical history and your current medication and advise you appropriately. You will then be consulted by the surgeon. 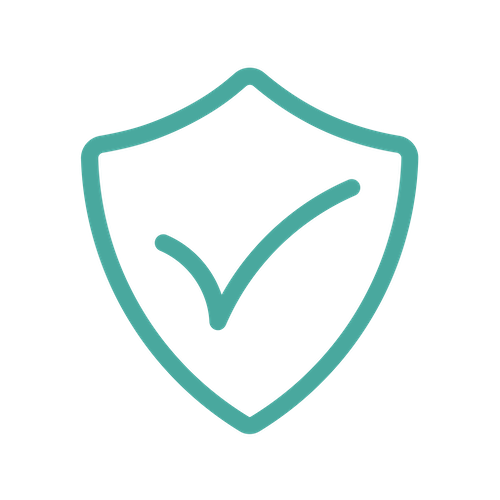 Whether you embark on a hair transplant or not, we believe that the prevention of further hair loss is vital. This is often overlooked. We strongly recommend PRP (Platelet Rich Plasma) injections, Finasteride medication, or a combination of both for a synergistic approach.